Teaching English in Brazil's exotic culture and beautiful landscape is a great way to gain valuable teaching and life experience. The Brazilian school year begins in February and goes until December, with a semester break in July. While hiring takes place prior to the start of both the February and July semesters, ESL teachers can begin teaching at any time throughout the year. Teaching positions are available through public and private schools, language schools, universities and colleges, and through private tutoring. Public and private schools in Brazil are somewhat similar to North America's conventional primary and secondary school system and run on a two-semester system. The school year begins in February and lasts until December, with a vacation in July to break up the two semesters. The summer vacation, generally lasting from mid-December to February, gives a welcome break during the hot summer season. Education is compulsory for children between the ages of 7 and 14 and is free in the public school system. There are many Catholic-run private schools in Brazil. Private language schools provide supplementary education for students who require additional tutoring. Classes are offered during after-school hours and at other convenient times. As private language schools do not follow the semester system of conventional schools, teachers are hired year round. 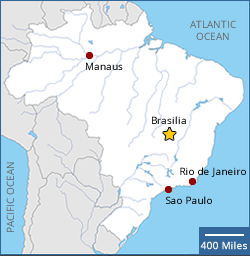 Teaching Business English is in demand in Brazil as in other parts of Latin America. In recent years the government has focused its attention on improving higher education in Brazil. As a result, public universities and colleges are fully funded by federal and state governments. Public institutions are reputed to offer higher quality education because of the funding; however, private institutions have been narrowing the gap with improved quality. Competition to get into public universities is very stiff. The academic year generally runs from early March to mid-July and then early August to mid-December. Private tutoring is quite common in Brazil, as the ESL teacher can be flexible with teaching hours and can earn substantially above normally low teaching wages. ESL teachers can receive an average of approximately BRL$30 - 60/hour for private tutoring. Many businesses hire in-house private English language instructors to teach their employees. Classes are normally scheduled before and after business hours and during the lunch break so as to keep from interfering with job-related duties. Networking through relationships in a business setting is a great way to grow one's private tutoring clientele. - ESL Employment Graduates of Oxford Seminars receive our Job Placement Service with exclusive access to established schools and recruiters around the world. This well-established English language school has centers all throughout Brazil. Boasting over 200,000 students enrolled in their centers, CCAA offers English and Spanish classes throughout Brazil. ESL teachers seeking summer teaching positions in Brazil will find that the North American summer does not coincide with the summer months in Brazil, December through February. As such, seeking a teaching position during North American summer would be to arrive in the middle of the school year in Brazil. The most likely way to find teaching positions during these months would be to contact volunteer agencies for short-term positions. Private tutoring is also an option during the summer months. - Learn some basic Portuguese phrases before you go to Brazil and plan to continue learning the language once there. - Ensure you always carry identification as this is enforced by law. A photocopy of the relevant pages of one's passport is usually sufficient. - In light of the laid-back, time-flexible way of life in Brazil, one should be prepared for slow line ups in stores, supermarkets, etc. Having a pocket phrase-book handy to study the language while waiting may help to alleviate the anxiety caused by waiting. 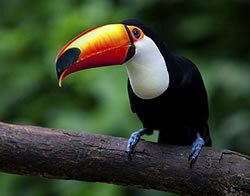 - Adopt an adventurous attitude and experience the cuisine, culture, and sites of Brazil. - While the "thumbs up" gesture is quite common to indicate an affirmative response, the gesture made by creating an 'o' shape with the thumb and index finger is considered obscene. - Women should not go to local bars or clubs unaccompanied. - Petty thieves can take advantage of foreigners coming into their laid-back culture. Teachers should take care to watch their wallets and cell phones, especially in light of the close proximity of interaction. - Use only bottled water from reputable companies for consumption. Boil filtered water if unsure. Milk in rural areas is not usually pasteurized and should be boiled before consumption. - Ensure meat is well-cooked. Vegetables should also be cooked well and fruit should be peeled. - Shoes, while not always high in quality, are abundant in Brazil. Half, narrow and wide sizes however, can be difficult to find. - Some brand-name toiletries and medicines can be found in Brazil, however, usually at higher prices than one would pay state-side. It may be helpful to take a year's supply of favorite cosmetics, or essential items with you to Brazil. - Tipping is common in Brazil, and much appreciated due to low wages and high unemployment. Rounding up to the nearest Real for taxi drivers and giving $R1 for each normal-sized bag for baggage carriers is standard. Sit-down restaurants generally add an automatic 10% to the bill. - The voltage in Brazil is not standardized. Some regions use 120V and other areas use 220 or 240V. The purchase of a transformer may be necessary for appliances that are not dual-voltage. - While possession of drugs may only warrant a "slap on the wrist" and community service for local Brazilians, it may mean deportation or incarceration for foreigners. If caught going into or out of Brazil with drugs, it would be an automatic jail sentence. The requirements and guidelines below are listed for ESL teacher applicants to Brazil who are citizens of: United States, Canada, UK, Ireland, Australia, New Zealand or South Africa. - Tourist Visa: designed for visits up to 90 days. This visa can be extended to a maximum of 180 days per year. It is illegal to work on a tourist visa; however, entering on a tourist visa in order to apply for teaching positions is permissible. - Volunteer Visa (Temporary Type 1): designed for those who wish to volunteer in Brazil. - Temporary Work Visa: designed for those working with a legitimate company in Brazil. Sponsorship by an employer is required for this type of visa. - Spousal Visa: designed for those married to a Brazilian citizen and living in Brazil. A proper work visa is still required in order to teach English. - As work visas are difficult to obtain, many schools are unwilling to sponsor one. Schools will most likely hire teachers on a tourist visa, though it may be possible to find some that will sponsor the work visa. - Schools may be more willing to do so if the teacher offers to pay the expenses involved. 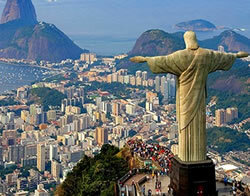 - Citizens from the UK, Ireland and New Zealand are exempt from requiring a visa to enter Brazil. - In addition to obtaining a visa, entry/exit permits are required. - Leaving the country without a re-entry permit essentially cancels one's visa. - One must apply for a visa at a Brazilian Embassy or Consulate in one's own country of citizenship. - One should apply for a visa in person. - The school applies for a work permit with the Ministry of Labor in Brazil on behalf of the applicant. - The ESL teacher applies for the visa in one's home country once the permit is approved. - A valid passport with at least six months remaining at time of application. Passport should have at least two blank pages. (This should be confirmed with local embassy/consulate). - Passport photos (Specifications should be confirmed with local embassy/consulate). - Work Visa: Employment contract with letter of invitation. - Tourist Visa: Statement of earnings. - Tourist Visa: Copy of round trip ticket or official itinerary.